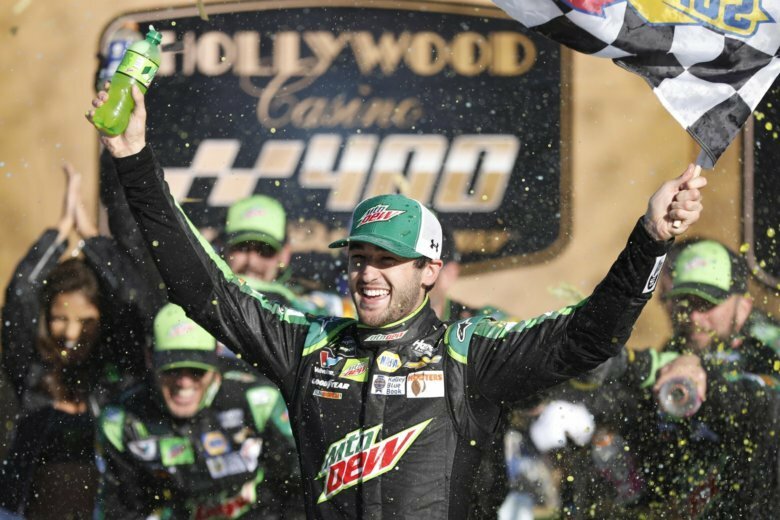 CHARLOTTE, N.C. (AP) — Chase Elliott first had to figure out how to stop losing races before he could find his way to victory lane. It took probably a dozen defeats in NASCAR’s Cup Series before Elliott stepped up on the road course at Watkins Glen to finally close out his first win. That August victory locked him into the playoffs, and he bookended the second round of the championship chase with victories at Dover and Kansas. Now Elliott is on to the third round of the playoffs — winner of two of the last three races, and three of the last 11 dating to his Watkins Glen breakthrough — and is perhaps a legitimate title contender. Once that first victory was out of the way, Elliott switched into another gear knowing he could win at the highest level. Crew chief Alan Gustafson likened it to a change in mental approach that all athletes face. “I always feel like when you’re in a situation, whatever it is, if you’re shooting a foul shot, hitting a golf shot, racing a car, when you come up to the foul line, is your mind saying to yourself, ‘I’m going to make it?’ Or ‘I’m going to miss it?’ That psychology is a huge part of success,” Gustafson said. And plenty of things went wrong for Elliott after he won the Xfinity Series championship in 2014, when he was 18 and finally eligible to run a full NASCAR season. Plans were formed in 2015 for his move to the big leagues with Hendrick Motorsports as the replacement for retiring four-time champion Jeff Gordon. Elliott was in the seat not long after his 20th birthday. He is the son of Hall of Famer Bill Elliott, NASCAR’s 1988 champion and a record 16-time winner of the most popular driver award. Chase Elliott entered NASCAR with a built-in fan base that wants him to match the success of his father. Because he’s with Hendrick, in Gordon’s old ride, the wins should have been immediate, right? Elliott did win the pole for his Daytona 500 debut, but he finished 37th. His rookie season netted five finishes of second or third, a 10th-place finish in the standings and no wins. Year 2 was like a bad repeat. The pole again at Daytona and nothing to show for that effort. Even worse? Five runner-up finishes and almost certain victory snatched away at Martinsville Speedway. Elliott was leading late in the race at the Virginia track with only a few laps remaining before what would have been both his first victory and an automatic spot in the championship finale. Last year’s miss is still emotional for Elliott and his team as NASCAR heads back to Martinsville for the opening race of the third round of the playoffs on Sunday. Four drivers will race for the title next month in the season finale at Homestead-Miami Speedway, and Elliott believes he can be one of them. Elliott’s two playoff victories lead the Cup Series and have pushed him to fourth in the standings, behind Kevin Harvick, Kyle Busch and Martin Truex Jr. The “Big Three” are all expected to make it to Homestead — although it is not guaranteed — and Elliott wants to edge Joey Logano, Clint Bowyer, Aric Almirola and Kurt Busch from claiming the fourth spot. “I think we have just as good a shot as anybody and that’s our approach these next three weeks,” Elliott said. “I think my team in particular does a great job of just really paying attention to every detail they can, especially at this time of year. I give a lot of credit, in my opinion, for picking up performance these last few weeks to Alan.